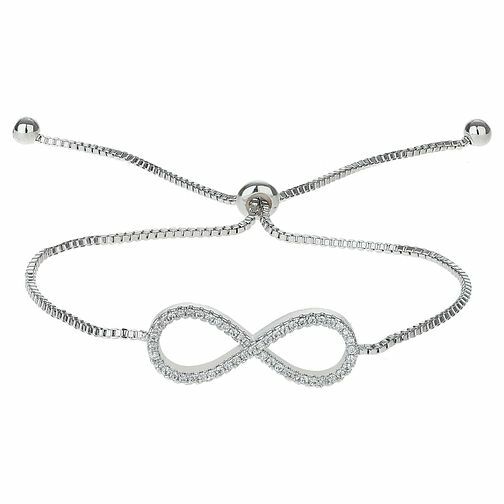 Styled with a dazzling cubic zirconia set infinity design, this easy to wear bolo bracelet is utterly versatile. London based jewellery designer Mikey specialises in unique, wearable glamour for all occasions. Mikey Silver Tone Cubic Zirconia Adjustable Bracelet is rated 2.0 out of 5 by 1.